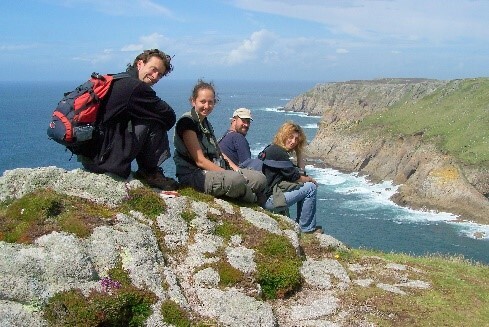 Erasmus+ Nature Conservation Traineeship. The details. There is no such thing as a typical day. However students will notice a model emerge to the way a week is structured. The week will start with a team meeting on Monday morning where plans for the week are drawn up, start times set and the domestic rota established. This would be followed by a language course for the remainder of the morning. Lunchtime would be a serve yourself affair. The afternoon would follow the language training with an element of specific training, typically following the theme of the language course. For instance the morning may use case studies of farming practice and conservation management, the afternoon would run a workshop on environmental stewardship and farm conservation. This workshop would leave some homework to complete overnight. Someone would be on the rota for cooking that night, and would prepare a meal for all those staying in the bunkhouse (up to 10). All would eat together sharing their experiences of the day. Tuesday is the day where we practice our public engagement, and spend the day working with the United Response group or a local school supporting their learning about nature conservation. This will be one of 5 sessions, leading up to a time where you would plan and deliver the entire session. The Wednesday session would be scheduled to wrap up the Monday themed training, in this case on farm conservation, with a series of field work and indoor workshops. Wednesday evening may be the day where you have to gather species data. With projects including bats, bees and badgers, there will be a routine element of data collection carried out in the shoulder times of the programme (early mornings, late evenings). Thursday is our practical conservation management, hands on day with activities ranging from stone walling, to fencing, deck building, habitat management and working with volunteers. These tasks would either be carried out on the farm or on the Sharpham Estate. survey/monitoring task. These range from quadrat samples, to species specific surveys, and will always be pre empted by themed training to ensure you have the skills and confidence to carry out the task. chance to talk to the team about your personal learning journey, and any observations or concerns you may have. The weekend is free of training but there will be a requirement to apply some of the learning you have, going out with your binoculars or your guide books and becoming more familiar with some of the subject matter. There is occasional weekend work, however there will be time to explore the local area, visit the local town, or meet friends and family. The domestic rota will continue through the weekend. How many English language lessons will I get? The whole of the training will be delivered in English, so you will be hearing and speaking the language everyday, and interacting with native speakers – which is a fantastic way to improve your language skills and boost your confidence. We also recognise that people feel different degrees of confidence with the language, and ensure that they receive as much support as possible. What research projects can I expect to be involved in? (bumblebees/badgers/earthworms/birds etc), and a combination of field trips, practical conservation projects, surveys, group education work, presentations, farm tasks and specific themed training activities will make up the rest. Details will be made available of the specific science projects that Ambios hope to pursue over this period in due course. How many days per week will I be learning? This traineeship is mainly delivered on a 5 day working week, 6-7 hour days. We aim to provide a real and authentic work experience, so there will be some evening and weekend work, as is the way with a career in nature conservation. Will I have free time to explore the local area, go travelling, visit friends or have time to myself? There are some scheduled events and work on the evenings and weekends and some social events that we plan, but you will also have free time to explore. Occasional evening and weekend work is scheduled in, which we would encourage you to take up, but this will be explained at the outset. We are also flexible and should you have pre-determined dates you would like to be away we can usually support these. We do encourage evening meals to be taken together, but obviously you are free to spend that time how you wish. Totnes is a 45 minute walk away, though someone from the farm will often be driving that way, so there is regular transport to and from town – 10 minute drive. The walk is picturesque, traffic-free and safe (but there are a couple of quite steep hills to walk up and down!) We have a few bikes to loan out, too, to speed up the trip. small hospital. 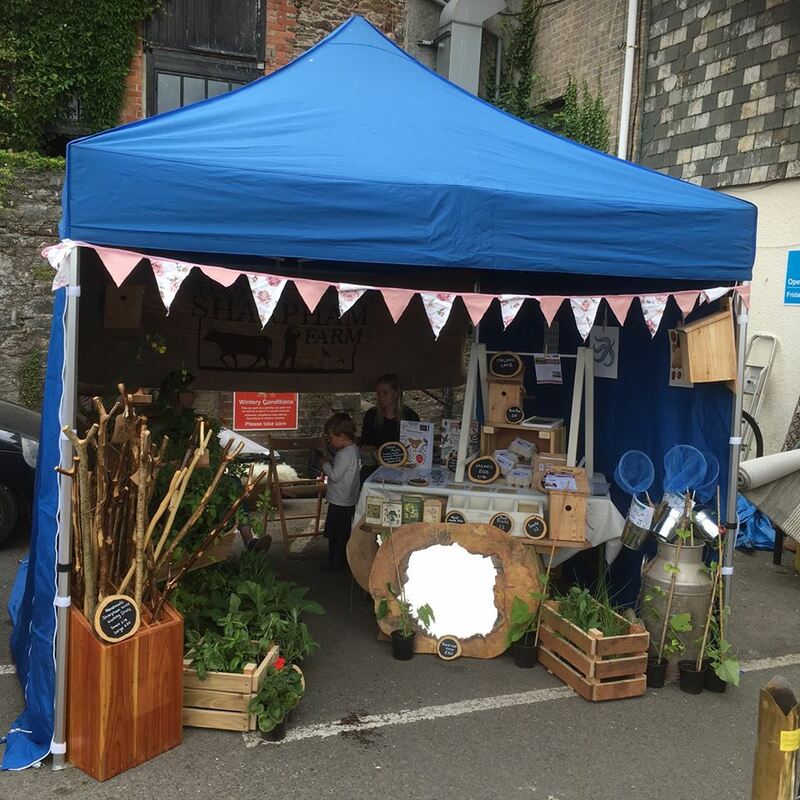 You’ll also find our Lower Sharpham Farm market stall every Friday in the Market Square. You will be staying in our cosy bunkhouse on the farm itself. You’ll have your own single room, and will share the rest of the accommodation with up to 7 others. There are 2 shower rooms with toilets, and an open-plan kitchen/dining/living room with a log burner, sofas and wooden floors, with plenty of books and DVDs to borrow. We also have 2 living yurts (round wood framed tents) where students also live. There is a washing machine in the bunkhouse that you are free to use. can be made, but use a lot of data and use would be restricted. The cafes and public library in Totnes town (mentioned above) offer free wifi. What food will I be eating? Do you cater for special dietary needs? Food is included in your fee and you’ll take it in turns with your fellow trainees to cook. The kitchen in your shared accommodation has the usual domestic appliances such as gas hob, electric oven, kettle and toaster. Most of the food is organic, in season and we use as much as possible from the farm: eggs, garden produce, lamb, apple juice etc. allergens such as nuts and gluten. Food provided will be sufficient for all key meals, but will not include items like alcohol, confectionary or expensive, out of season items. Our tap water is perfectly safe to drink. time here it is important to be as open to learning about the domestic side of life, and about yourself as much as about the nature conservation subject. How do I travel to reach you? Which is the closest airport or rail station? Our closest airports are Bristol (BRS) or Exeter (EXT) from there you can take a train to Totnes, where we can meet you (with advance notice). Totnes rail station is 2 miles (3.2 km) from the farm. There are regular services to London (3 hours), Bristol (1 hour 50 mins), Exeter (30 minutes), Plymouth (30 minutes) and more. You may find it cheaper to travel by bus from Bristol Airport to Drumbridges Roundabout (which is on the A38 road a few miles from Totnes), where we can collect you with advance notice.